A shrubby or tree-like houseplant often called Umbrella Tree for the way the leaves are clustered in umbrella-like arrangement. 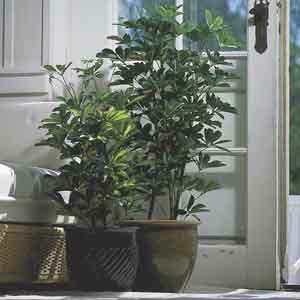 Schefflera may initially drop leaves as they adjust to a new setting, but really are vigorous and easy-care plants. They may be pruned to control height or shape. 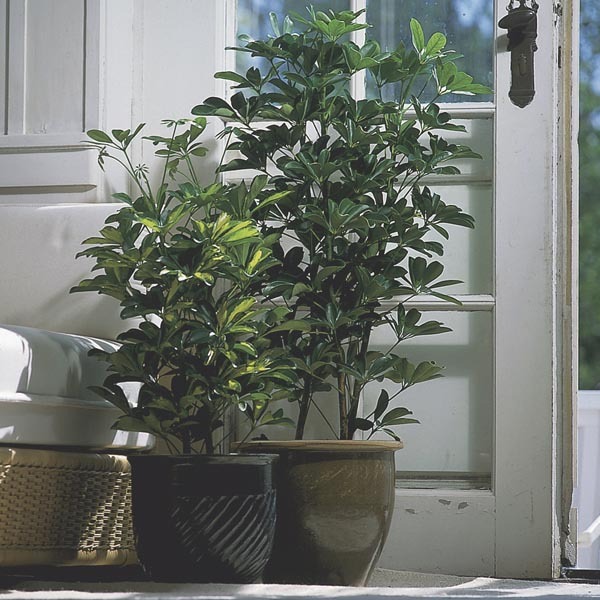 Use in large containers for defining entryways, enlivening corners or screening views. Put in a location where plant receives bright, indirect light. Water thoroughly but allow soil to dry slightly between waterings.